In order to move on from my Fantasy Baseball post, here’s a mailbag that WP Nats Beat reporter Jesse Dougherty posted on 3/25/19. Interesting notes here from today: the demotions of Adrian Sanchez in particular, which seems to indicate that NRI and 2016 7th round draft pick Jake Noll may very well be making this team. Noll signed for $190k in 2016, which definitely wasn’t a senior sign/throw away pick out of FGCU, but he’s gotten absolutely zero prospect love in his career thus far. 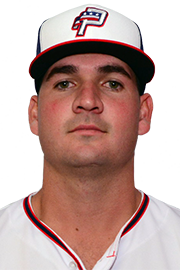 He was ranked 26th on 2080 Baseball’s 2019 list, and got an “Honorable Mention” in John Sickel‘s post 2016 minorleaguebaseball.com list, but that’s it. And how he’s set to be the Nats primary backup middle infielder until Howie Kendrick can return. So great for Noll. Q: What do you think the chances are the Nats extend Rendon? I’m not too optimistic after this most recent report. A: A good question. I’m guessing that at this point, Anthony Rendon will head to FA. He better have an action plan though with his agent Scott Boras, who has absolutely blown several high profile cases over the last couple of off seasons. That being said, I’m hoping Rendon is taking a hard look at the landscape, taking a hard look at the contracts that some of his comparables are signing (Nolan Arenado 8yr/$260M for $32.5 AAV) and perhaps coming back to the table before he faces an embarassing off-season. Rendon is a year older than Arenado, less accomplished from awards and year end recognition … and will have to eat deferred money to stay here. Can a deal get done? Dougherty notes that Rendon has instructed Boras to work on an extension, and they’ll work into the season. So perhaps we’ll see something like a 6yr/$180M deal in our future with deferred dollars. 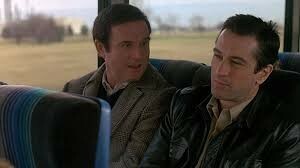 Q: How is the team preparing for having AAA players in Fresno instead of Syracuse? 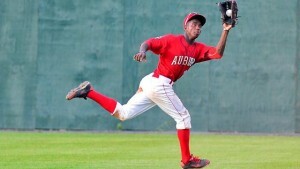 Any chatter from likely minor leaguers about the switch? A: That’s a great question, one that fans like us can’t really answer other than noting the obvious: the team has “demoted” the likes of Erick Fedde and Spencer Kieboom to Harrisburg so they can be a couple hours away in case of an emergency. Meanwhile longer-term strategic assets like Joe Ross, Kyle McGowin, and Raudy Read are instead heading to Fresno to get stretched out or further tested against more senior competition. Dougherty notes the same players that I do, but has little else to offer in terms of player insights. Q: Can you talk about the OF depth issue with Michael A. Taylor’s injury and Kendrick’s? Any insight on the organization’s view of its internal outfield options? Any indications if General Manager Mike Rizzo thinks he needs to go outside the organization to address? A: Well, it certainly didn’t help when exactly one third of the outfielders on the 40-man got hurt (Taylor and Kendrick). So the team is breaking camp with their 3 starters and their one remaining option in Andrew Stevenson to start the season. Depth? The next likely guy up probably is Rafael Bautista, who was on the 40-man last year and got DFA’d/assigned to AAA . 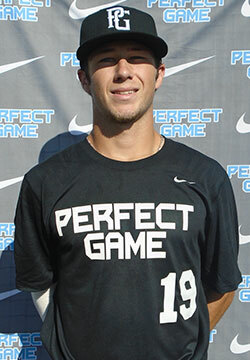 Our top OF prospect is probably Gage Canning, who was in short season last year. Brian Goodwin just got released by Kansas City; maybe he’s worth taking a MLFA flier on and getting him back into the fold. The team has added some MLFA 4-A type talents that are also sitting in AAA; my guess is that they’d go there first for a short-term fix. If it turned out that Taylor was done for the season, may be then we’d go for an outside option. Dougherty says that since Taylor’s injury is short term, nothing will happen, and that in-house options like Wilmer Difo and Matt Adams can cover. 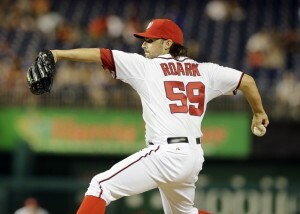 Q: Jake Noll has been tearing it up in spring training, Nats’ OF depth is thin, does Jake have any experience in the OF? Could his success translate to the big leagues soon? A: This question was a day early, given today’s press reports of Noll’s likely making the team. So his hot spring training has definitely paid off. I see no evidence of his playing the OF: he spent his first two pro seasons playing 2B, then split time between 1B and 3B last year. Conventional wisdom would seem to indicate that this level of athleticism on the dirt would translate to at least a passing ability to play LF in a pinch. But it doesn’t seem like that’s his path for now. Dougherty notes that Noll played some OF in high school, but he only played the three positions in which he has pro experience this spring. Q: Do Nats fans boo Bryce on April 2? A: I’ve been asked this many times by my Bryce Harper hating friends. His first AB will be a video tribute and a standing ovation. Perhaps by the 3rd or 4th AB he may get some boos. He’s slated to face Scherzer in the 4th game of the season on regular rest, unless the team decides to keep its rotation intact. Dougherty seems to think the reception will be chilly. We’ll see! Maybe the team should sell out the stadium to traveling Philly fans to make a buck like they used to in the old days. Well, for those who were not convinced that the Nats would roll into 2019 with a Wilmer Difo/Howie Kendrick platoon at 2B … the Nats solved your problems just now, signing former all -star 2B Brian Dozier to a one year deal worth $9M. Immediate reactions seem to think its an overpay. He did see his BA and his overall production plummet in 2018, going from All Star/down-ballot MVP levels in 2015-16 to abhorrent in 2017. Even so, he still provided a full 1.0 bWAR in 2018 … which would significantly improve upon the combined -0.8 bWAR the Nats 2B provided the team last year. Another gamble from Mike Rizzo, betting he can get a rebound year out of a former star. 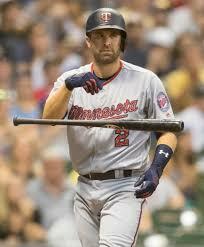 Dozier’s signing is a one year deal; the old adage “there are no bad one year deals” comes to mind. If he’s a total bust, its just money. Yes perhaps money that could have been spent elsewhere (bullpen) but there’s more P depth in our minors than 2B dept right now. He doesn’t block Carter Kieboom at all. Even if he hits .220 again, he hits for power, and would be an improvement over the black hole we had running last year at 2B. You can do worse than a Gold Glove-calibre former All Star defender in the #7 or #8 hole. Add a couple more incremental wins to the ledger for this team. This puts them at 41 players; someone needs to drop. My guess is Matt Reynolds, who is out of options and who was never going to make the 2019 team. This also likely pushes Difo back to AAA; he’s gone one option left and there’s no room on the active roster. I saw a couple of comments on the previous thread expressing some dissatisfaction over the move. But feel free to discuss more. The question I have for you is this: does this signing make the team better in 2019? Ask Collier: first mailbag of the 2018-19 off-season! Hey there! If its the Nat’s off-season, it must mean mail bag time. We havn’t seen one from MLB.com beat reporter Jamal Collier in a while (what, was he busy or something? but now we get one with some good discussion-generating questions. Here’s how i’d answer the questions he took. Q: As a fan of the great outfield we had at the end of the year. Are the Nationals considering trading Adam Eaton if they resign Bryce Harper? A: Indeed, an outfield of Soto, Eaton, and Harper is pretty awesome, if (biiiiig if) all are healthy and producing at optimal levels. And the on top of that we have a top-5 prospect in all of baseball Victor Robles who no longer can be kept in the minors. So that’s four solid players who all would start for any team in this league on one team. So what do we do? And, only one of these guys is projected to make a ridiculous, franchise altering amount of money in free agency: Harper. Harper has played for 7 nearly full-seasons: he has a total bWAR figure for his career is 27.4. That’s an average of 3.9 bWAR per season. Yes he had a monster 10 win season in his MVP season of 2015, but he’s also lost huge portions of several seasons to injury. And that has to be part of the conversation when you consider whether you commit $200M to him for the next 7 years. For me the answer is easy. Juan Soto will make the MLB minimum (or near to it) next year; call it $600k. He generated 3.0 bWAR in 116 games, which projects to a 4.1 Win season with 162 games. I’d rather pay Soto $600k to give the team the same expected level of production as Harper would for 30-TIMES more money. You let Harper walk, you go to war in 2019 with Soto in left, Robles in center, Eaton in right, finally have three outfields all in the “right” positions defensively, and then deal with a 4th outfielder from internal candidates. NOW. Letting a tranformative player like Harper go is … well its an “above the GM” decision. Not only because of the impact on payroll, but because of his role with the team. He’s a massively marketable star, transformative not just for the team but for the sport of professional baseball. His $30M/year salary (or whatever he wants) is not just about payroll; you can’t put a price tag on the marketability of a player of his stature and what it means for the team. He puts “butts in the seats.” He is in national commercial ad campaigns. He’s a foil (for better or for worse) across the sport. Do you just let a guy like this walk? They’re getting basically *nothing* back for him (a compensation pick between the 4th and 5th rounds, thanks to the criminally poor job the team did in managing the luxury cap over the last two years), so that barely factors into the discussion. Now, lets say, for the sake of argument, that the team does re-sign Harper. Yeah for me, if you re-sign Harper, you’re going to have to move either Eaton or Robles. So … which do you move? Eaton, like Harper, has been just crushed by injury the last two years, producing a fraction of his value the 3 years prior. So even though he’s still quite affordable, trading him this off-season would be trading pretty low. 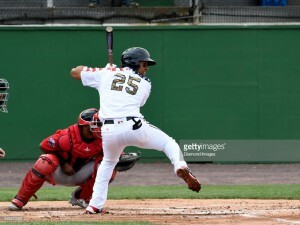 Robles is still the unknown; yeah he’s an amazing prospect, but is he going to have a Juan Soto-like 2019? Robles can be the centerpiece of a trade that could return a significant player in an area of need for this team (mid-level Starter or quality starting Catcher). Would you prefer to go that route? For me; i’m on record. I want to part ways with Harper, field a starting OF that costs less than half of a one-year Harper salary figure and allocate his projected payroll towards other areas of need. Collier echos my concerns about trading Eaton low, but also notes that … well this is THE decision that the team faces, probably the biggest one in a decade. We can’t know until the Harper decision is made. Q: What’s Michael A. Taylor’s future with this team? A: For me, despite Michael Taylor‘ awesome 2017 season, he’s reverted back to form. He’s a 4th outfielder. Great defensively, poor offensively. Can play all three OF positions, plays CF excellently. But he still strikes out 33% of the time and cannot be trusted. After his 2018, its not like he has real trade value, and he’s now also arbitration eligible so he’s not exactly cheap. Is he a non-tender candidate? Probably not, but assuming the team goes with my plan of letting Harper walk and going with a starting OF of Soto-Robles-Eaton, then for me Taylor is an ideal 4th and competes in the spring with Andrew Stevenson for that role. He should win it, then be coupled with a corner-OF bench bat type who can play LF in a pinch. Honestly, you learned everything you needed to know by looking at the amount of playing time Taylor got this past September once Robles came up. Almost none. Now, if the team reasigns Harper? I don’t think much changes; the team moves either Eaton or Robles, still leaving Taylor as the 4th. Collier thinks they’ll explore moving him “before his trade value falls anymore.” Uh … too late dude! Q: Who are the free agent starting pitchers that Nationals will attempt to sign? A: Taking a quick gander at the list of available starters … there’s all kinds of interesting names. Who knows who they may end up with. Lets start with, what do they need? They’re keeping Scherzer, Strasburg, Roark, and Ross. They can either go to war with a 5th starter like Fedde or McGowin or Voth or Jefry Rodriguez, or look at free agency to improve the back end. I’d love to get a 3rd starter-quality guy to slot in behind the big two, then hope for a better season from Roark (something closer to 2016 than 2018), and hope for Ross to come back to what we know he’s capable of. That’s a potentially solid rotation for me. We also might be focusing on a lefty, since Gio Gonzalez was our only lefty starter. But I don’t think that should be a huge factor honestly. The team needs to find the best value and availability. I don’t see them pursuing a $20M/year guy. Not with the amount of money already going to their two #1 starters and certainly not given the possibilty of their re-signing Harper. So, lets think about middle-of-the road lefty veteran starters. How about someone like a Jaime Garcia, or Hyung-Jin Ryu? If they can’t land a lefty, there’s a slew of interesting names out there that are righties. I like Nathan Eovaldi, Wade Miley, Garrett Richards. Collier hedges and says the obvious; we won’t know until they decide what they’re doing with Harper. Yeah i get it. He mentions that Patrick Corbin is probably out of the conversation (duh; he’ll be like the 4th most expensive player this off-season) and mentions re-upping with Jeremy Hellickson, which I don’t think happens b/c he pitched himself into a decent sized contract.. Its also worth mentioning; maybe the team goes the trade route, which opens up the realm of possibles to half the league’s starters if they’re willing to give up Robles or Carter Kieboom in trade. Q: At what point will the Nats start looking for a more durable first baseman? Zim has averaged only 100 games a season over the last five years. A: Uh, the second Ryan Zimmerman isn’t guaranteed 8 figures a year? And, by the way, what is this guy missing with the current roster construction? We were nearly to the point of an 1980s Orioles John Lowenstein/Gary Roenecke type platoon this year between Zimmerman and the lefty hitting Matt Adams. The team is already mitigating Zimmerna’s annual health issues with a backup. And guess what? They’ll do it again this off-season. Look for the team to sign another Adams clone, someone like Lucas Duda or Steve Pearce or Pedro Alvarez. Heck, maybe they’ll re-sign Adams. Collier basically says the same thing I did. Q: Will Riz let Difo and Kieboom fight it out for 2b in spring training or will he look for a veteran 2b, using Kendrick in a super utility role? A: The question probably should have read: “Wil Rizzo let Difo and Howie Kendrick fight it out…” Because Kieboom aint’ making this team in 2019. For one, he’s never played 2B professionally. Not that its a heavy lift going from SS to 2B (it isn’t) .. but he’s also just 60-some games removed from A-Ball. Kieboom needs to go from the AFL back to AA and return his OPS figures back to the .880 level before even being considered for AAA. Honestly, I think the team goes with Kendrick (assuming he’s recovered from his bad achilles injury) as the starter, with Difo as the utility guy. Thanks to Kendrick’s injury and Daniel Murphy‘s prolonged recovery, Difo was essentially a starter this year. And he did not impress, his average dropping 40 points from where it was last year. I think that cements his status as a backup utility infielder who can cover middle infield positions in a pinch. I’m glad we have someone on the bench who can at least hit at a 75 OPS+ figure; lets not push it. That being said, for me Kieboom is the future here. I think he might be ready after a half a season, and at that point you bring him up and slot him in at 2B. He could eventually move to 3B if the team cannot retain Anthony Rendon, or can stay at 2B and be a Jeff Kent-style slugger. I’d love to see that come together and have him join Soto and Robles as the core of the next generation of this team. Collier thinks the team might look elsewhere for a starting 2B. I think they can make-do from within and not waste money chasing another Murphy replacement. ESPN Insider only link, but Keith Law wrote up a scouting report on his visit to see Potomac visit Wilmington recently. Telmito Agustin: he’s hitting 180 points higher in Potomac this year versus last and Law took note. Says he thinks Agustin’s adjustments and power will stick and we may have found gold for a prospect who signed for practically nothing and who barely registers on anyone’s prospect lists for the organization. Carter Kieboom: struggling in High-A as his stats show; Law wonders if he isn’t better suited for 2B or 3B (likely 3B because of his arm strength). Law also talked about one player from Wilmington (Kansas City affilliate); that being local kid Khalil Lee (Flint Hill HS). 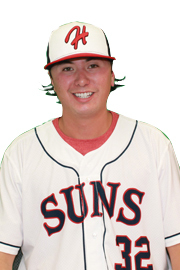 Lee was the 2nd prep player drafted out of the area in 2016 (Joe Rizzo of Oakton HS being the other): both guys are now at High-A in their 3rd pro years. And, just after writing this post … the Nats have promoted Soto again. He’s heading to AA Harrisburg to get some more challenge. Wow; are we looking at a guy who needs to have Vladimir Guerrero Jr. level hype? Always enjoy reading about our guys from a national scout.